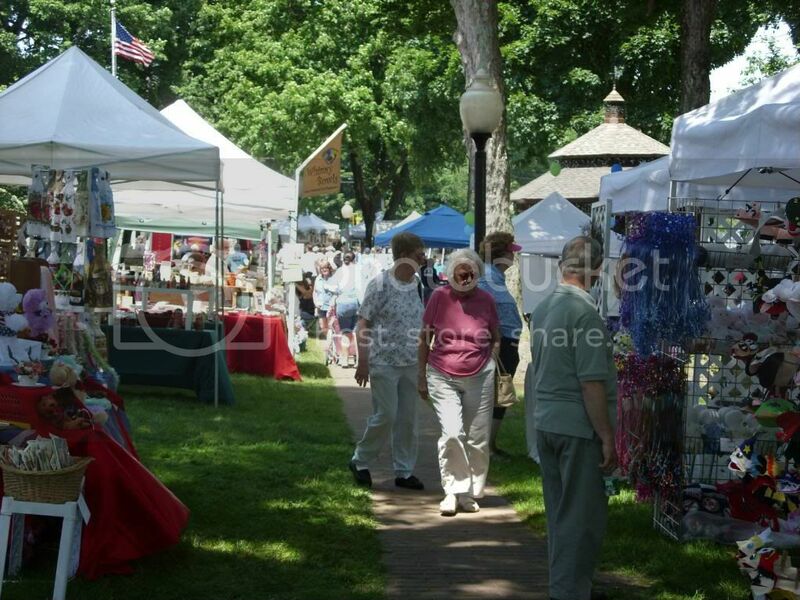 6/4 UPDATE: JUNE 5TH ARTS & CRAFT FAIR POSTPONED TO RAIN DATE JUNE 12TH. SAME TIME SAME LOCATION! On behalf of the Shelton Jaycees alumni group, the Geese & Bear club, I’m excited to invite you to our 52nd Annual Arts & Crafts Fair on Sunday June 5th, 2016. 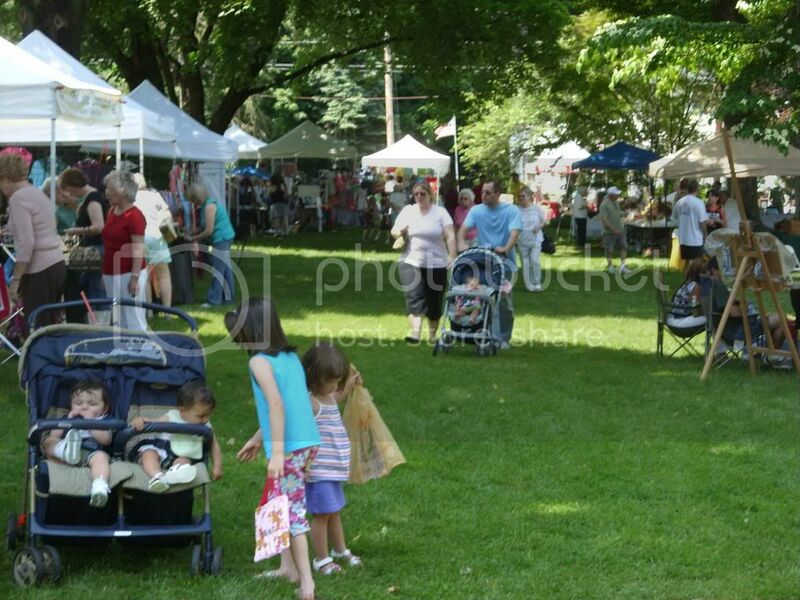 Always on the Huntington Green, this all-volunteer run event has grown into an established community tradition kicking off the summer season in Fairfield County. Last year’s co-chairs Kate Jager & Jim Nissen are going to be traveling for work on our scheduled date. They’ve recruited me to take over for them and I couldn’t be more excited! 12 years ago I was the one who convinced Kate to chair this project her first time and she’s run it almost every year since! My friend Jim has volunteered at this event along with me for over twenty years. My very first time chairing this event was in 1992 when we set our all time record for most exhibitors. It’s been a long time since I’ve been the one in charge but Kate & Jim are going to be very active helping our committee of Jaycee alumni do some of the advance work. This year’s online show advertising will increase dramatically. Print promotion will be in all of the major area newspapers as well as on radio and community event listings. Web promotion will include a dedicated Arts and Crafts Fair page on our main website in addition to our regular Arts & Crafts Fair Facebook page! Special note to new exhibitors: We’re serious about diversity being the hallmark of our fair and we limit the number of exhibitors in each craft category to 3. 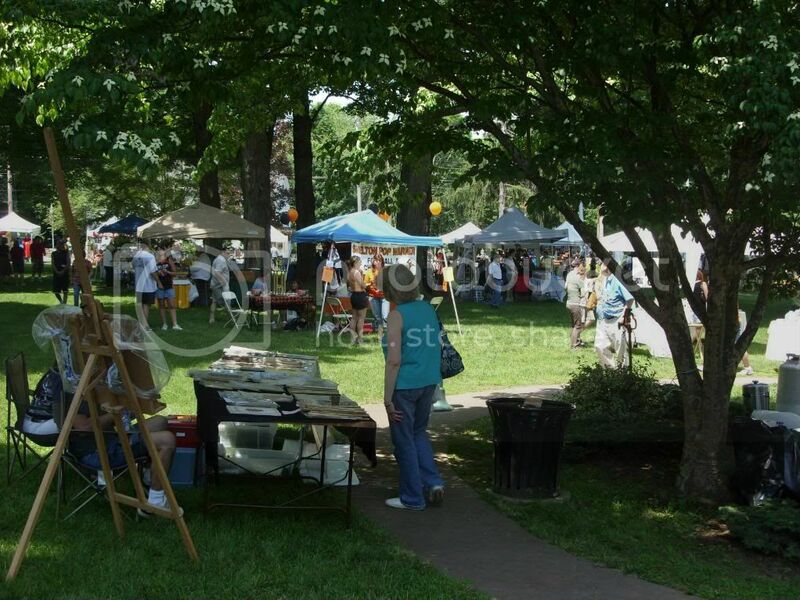 Our fair is a juried event and cash prizes are awarded. Items must be your own hand crafted pieces or original artwork pieces. Our best source of new participants has always been word of mouth referrals. We feel our tradition of having a high quality diverse group of exhibitors is so important we’re offering past exhibitors a $5 registration rebate if they refer a new (non-jewelry) exhibitor. If the “New” referral is accepted, and is either brand new to our fair or has not exhibited at our fair in over three years, both the past exhibitor and the new referral will receive a $5 registration rebate on the morning of the event. Why must it be a new non-jewelry exhibitor you ask? The answer is because we routinely have to deny dozens upon dozens of jewelry exhibitors each year. Our jewelry categories just fill up too fast! When referring a new exhibitor you can either photocopy an application, or send them to this web site where they can download their own application . Or you can just have them give us a phone call so we can mail them a paper application. A referral section is on the application. This year we’re offering our Arts & Crafts Exhibitors an “Early Bird Rate” of $69 when your application is postmarked by April 15th, 2015. To qualify for the regular pre-registered price of $79, your application must be postmarked no later than May 25th, 2016. All Food Vendors must pre-register by May 25th and the fee remains constant at $89. Sending your application in early will help ensure your acceptance. Please include your check or money order with your application. Any photos we receive will be returned to you within 10 days along with a confirmation letter. Even if you are not able to participate in 2016, please complete the application and return it to us so we can keep you on our mailing list. The application together with our welcome letter and additional details are available to download and print HERE. If you have any questions, just give me a call any time before 9 pm. If you can’t reach me right away, you can also call Kate at (203) 623-6698 or Jim at (203) 521-2498. We’re looking forward to another beautiful and profitable day for everyone! Take first Right onto Kneen St.
Next light take right onto Coram Ave. Follow Route 108, go 3.2 miles to Huntington Center. The Huntington Green will be on your left. End of ramp, take left. Go straight. (Huntington Rd. becomes Huntington St.) 3.2 miles. At Huntington Center, road will divide by a fire house. After the fire house, stay in the left lane and the Huntington Green will be on your left. If you prefer to use mapquest.com or a GPS device, look up the intersection of Huntington Street & Shelton Avenue, Shelton CT 06484. First Prize for Arts is $100. First Prize for Crafts is $75. Volunteers will arrive at the fair starting at 7:00 am. The registration check in will be at the gazebo starting at 7:15 am. The fair runs from 10 am – 4 pm. Please do not arrive or start to set up before 7:00 am. The Shelton Police are pretty sensitive about this! Spaces are 12′ x 12′ square and are first come – first serve. We set the Green up in a ‘race track’ oval. Every space gets the same traffic. The food area & kid’s craft areas will be marked off ahead of time. Please do not set up there. You will be required to move. The town will not permit any cars on the green itself but you may park along side the Green to unload. After unloading, you are required to immediately remove your vehicle from the perimeter of the green. Parking is available in the Shopping Plaza behind Common Bond supermarket. My name is Cheryl DeLoreto and I own Whiskers & Whimsy Bake Shop, LLC in Niantic, CT. I am emailing as a follow up to our conversation on Sunday, June 5th regarding space availability at the 52nd Arts & Crafts Show rescheduled for Sunday, June 12th. You can view my full product line on my website mkt.com/whiskersandwhimsybakeshop. Please let me know how you want to handle my getting the registration form and fee to you.